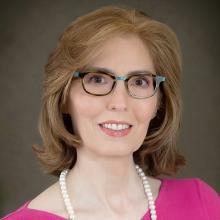 Linda A. Klein is managing shareholder in the Baker Donelson’s Georgia offices and just completed a six-year term on the Firm’s Board of Directors. Her practice includes most types of business dispute resolution, including contract law, construction law, fidelity and surety law, employment law and professional liability. In June 1997, Ms. Klein became the first woman to serve as President of the State Bar of Georgia. Ms. Klein recently completed her 2010-2012 term as Chair of the American Bar Association’s House of Delegates, ranked as the 2nd highest office in the world’s largest voluntary professional association. She has also served as Chair of the Tort Trial and Insurance Practice Section, Chair of the Committee on Rules and Calendar of the House of Delegates and Chair of the Coalition for Justice. She continues her American Bar Association service as Chair of ABA Day, the Association's Congressional outreach effort, member of the Council of the ABA Section of International Law and also serves on the Board of Editors of the Law Practice Management Magazine. She currently holds numerous Board of Director positions, including Southface Energy Institute, Neighbor to Family and serves on the executive committee of the Buckhead Coalition. She is a Past President of the Board of Directors’ Network, Past President of the Caucus of State Bars, and Past Chair of the Institute for Continuing Legal Education in Georgia and the Lawyers Foundation of Georgia. She also serves on the advisory boards of Best Lawyers in America® and Super Lawyers. "Our democracy depends on a strong legal profession. IAALS understands this and through the Foundations for Practice project seeks to assure future lawyers are well prepared."